Today’s “make something” challenge was to use school supplies in a non-traditional way. My first thought was to recreate my resume using crayons and this wonderful ruled paper. But, alas, after sitting at the Mac developing a website for about 12 hours, I did not have the stamina for a document that extensive. 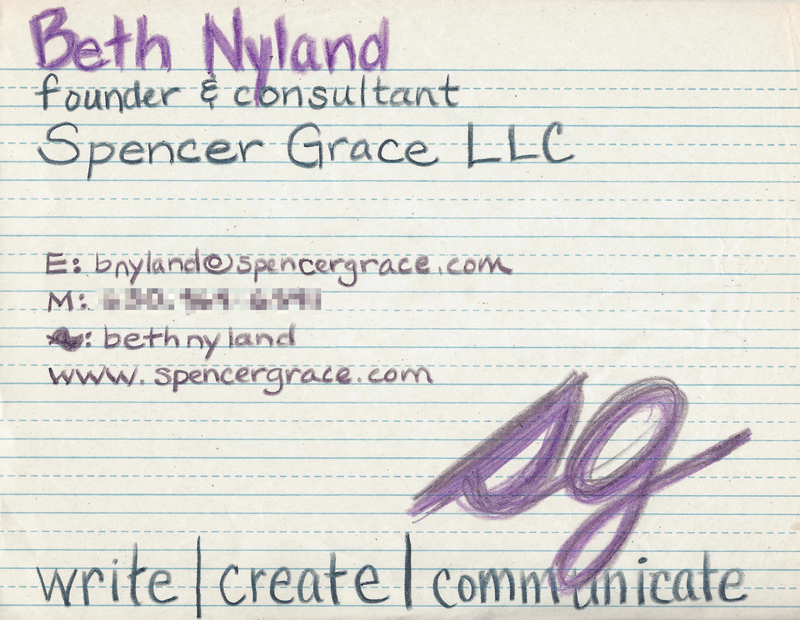 Instead, I give you my business card, elementary-school style.